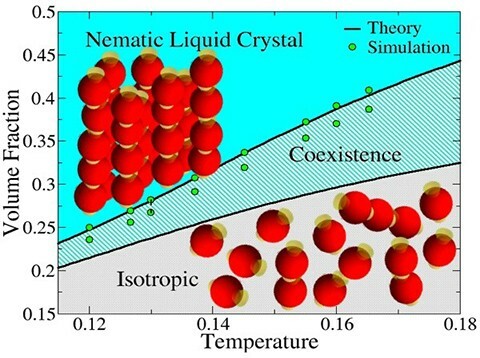 Anisotropic interactions can bring about the formation, through self-assembly, of semi-flexible chains, which in turn can give rise to nematic phases for suitable temperatures and concentrations. A minimalist model constituted of hard cylinders decorated with attractive sites has been already extensively studied numerically. Simulation data shows that a theoretical approach recently proposed is able to properly capture the physical properties of these self-assembly-driven liquid crystals. Here, we investigated a simpler model constituted of bifunctional Kern-Frenkel hard spheres which does not possess steric anisotropy but which can undergo a istropic-nematic transition as a result of their self-assembly into semi-flexible chains. For this model we compare an accurate numerical estimate of isotropic-nematic phase boundaries with theoretical predictions. The theoretical treatment, originally proposed for cylinder-like particles, has been greatly simplified and its predictions are in good agreement with numerical results. Finally, we also assess a crucial, and not obvious, hypothesis used in the theory, i.e. the ability of the Onsager trial function to properly model particle orientation in the presence of aggregation, that has not been properly checked yet. 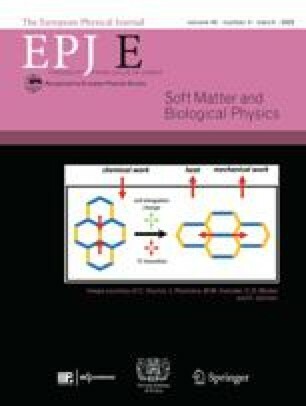 Supplementary material in the form of a .pdf file available from the Journal web page at https://doi.org/10.1140/epje/i2018-11750-4 and accessible for authorised users.